The Hubble is our old friend who has since 1990 offering the most spectacular images (most of the visible spectrum), for now we have our visible universe. Because it is able to make exhibitions of days (days) on specific points and it has an accuracy of 0.1 degrees have images like you see where, what appears there are no stars, but galaxies. 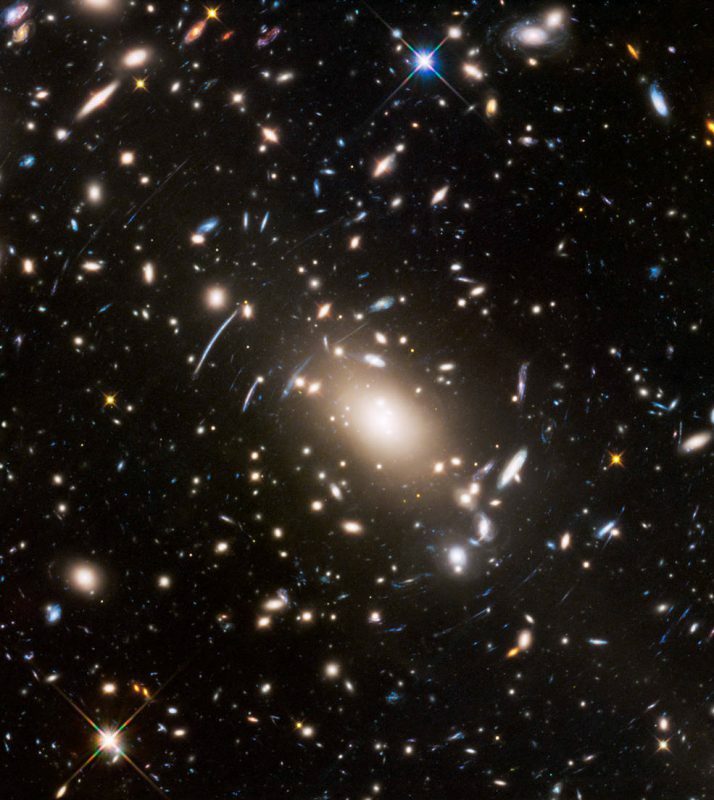 That is, the Hubble has made an image of “deep space” of galaxies located 4 billion light-years observed, perfectly, the gravitational lens described by Einstein (which you already speak). In that image, apart from the gravitational lens we can get an idea of ​​the “web space” or spatial web of galaxies with a galaxy units above. And, as I discuss, there are greater galactic clusters a galaxy, galaxy clusters, superclusters of galaxies and nodes, all connected by filaments of dark matter, which is thought not seen since by loop quantum gravity are nothing more than small unobservable vibrations that generate gravity.